As always, there’s a lot of Japan-related stuff going on in London at the moment, especially with the anniversary of the Great East Japan Earthquake and tsunami coming up on March 11th. Here’s a quick list of a few things that I’m particularly interested in. This isn’t meant to be a comprehensive guide though! If you’re after more information about events, I would recommend checking out: Japanese London, The East and the Embassy of Japan in the UK’s events calendar. 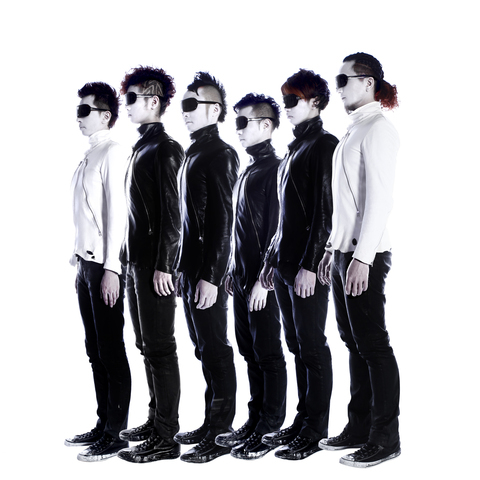 Often described as Japan’s answer to the Blue Man Group, Siro-A perfectly fuse modern technology with mime, breath-taking optical illusions and movement all set to a pulsating electro beat. 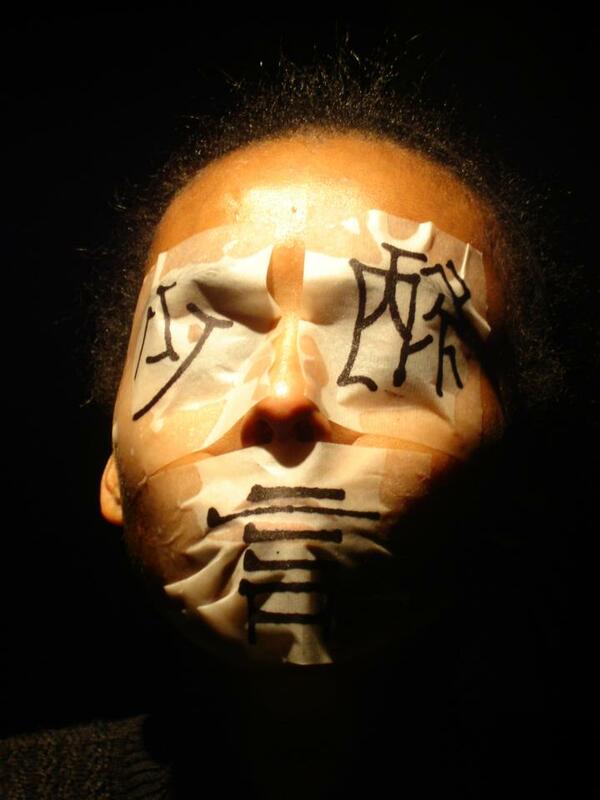 This visually stunning show performed to 30,000 people at the Shanghai Expo and won the Spirit of the Fringe award at the prestigious Edinburgh Festival. Spectacular family entertainment fusing video mapping, laser lights and on stage DJ’s to create entertainment for the next generation. For more information, please visit the Leicester Square Theatre website. In days of old, Okinawa was part of an independent nation of islands known as the Ryukyu Kingdom. Even today, Okinawa boasts a rich indigenous culture very different to that of Japan. Surrounded by the Pacific Ocean and East China Sea, this little island nation developed its own distinctive form of dance and music; a graceful portrayal of the warmth and beauty of the Southern Islands. Performed within the palace walls, this was a world of hidden emotions expressed through restrained movement and solemn music. Ship of the Ryukyu is a collective of singers and dancers led by 7 young directors from Okinawa. The company was formed to help to develop an interest in Okinawa’s vast heritage and to introduce the world to Okinawa’s wonderful culture. For more information, please visit Ryukyu Dance. March 2013 will mark the second anniversary of the Tohoku earthquake and tsunami that devastated eastern Japan. Beginning with the initial devastation, the exhibition then charts the country’s subsequent rebuilding process and today’s air of fresh optimism for the future. Indeed, these images encapsulate the light that continues to shine through the tragedy. For more information, please visit the 2 Years After website. The Pan Asia Film Festival is a major cultural showcase for Asian cinema taking place across ten London venues and several other UK cities from 6th-17th March 2013. Receiving wide support from various industry bodies and cultural organisations in the UK, the festival aims to screen the most dynamic and challenging cinema from all over Asia – from Iran to Japan – in the UK for the first time. Supplementing more than a dozen films with a number of master classes, exhibitions and live site-specific events, the 2013 edition of the festival will be supported by a number of high profile guests and patrons, and will be far the biggest edition of the festival to date. 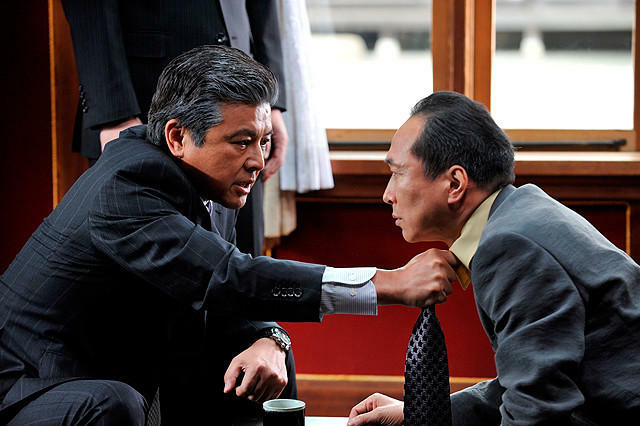 Legendary Japanese director ‘Beat’ Takeshi returns to the crime genre that made his name. A thriller focusing on the sinister machinations and complex politics driving Japan’s biggest crime families, Kitano’s trademark combination of tough violence, droll humour and strange, idiosyncratic touches are in full flow as he explores the yakuza’s crumbling codes of honour. Following the travails of the Sanno organisation and their interactions with criminal rivals, law enforcement and the political elite, Outrage Beyond is a masterfully composed film from one of Asia’s most vital directors, working on the level of both genre piece and wry societal commentary. Wild and brilliant, Tormented is the latest balletic nightmare from Japanese horror kingpin Takashi Shimizu (The Grudge). Shot by legendary cinematographer Christopher Doyle (In The Mood For Love, Hero) it’s a colourfully spectacular plunge into a strange alternate dream world, as a young mute woman must travel to a mysterious land of spiral staircases, abandoned theme parks and giant killer rabbits following her brother’s disappearance. An utterly unique slice of J-horror, boasting spectacular use of 3D technology. For more information, please visit the Asia House website. Presented by A Thousand Cranes in Association with Artsdepo, Little Sunshine, Little Rainfall is a wonderful and dynamic children’s production. Little Sunshine and Little Rainfall invite you to their magical Japanese garden but when naughty Storm Fox comes to visit all the creatures must think quickly to save their homes and families. Perhaps wise old Turtle has the answer? 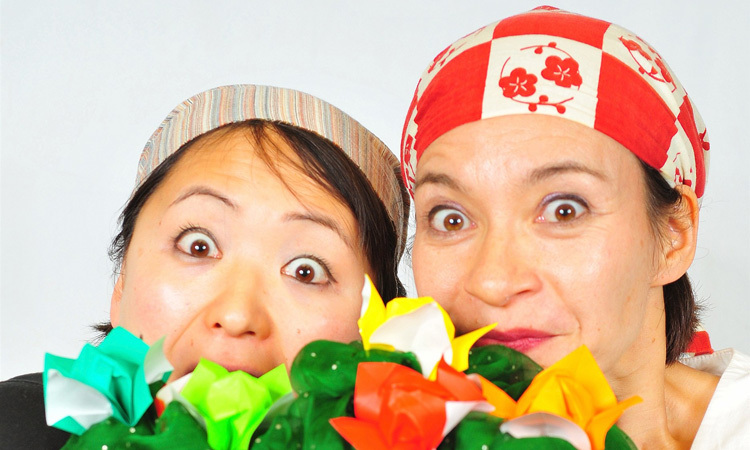 Blending Japanese folklore with traditional music and dance, and inspired by haiku and origami, Little Sunshine Little Rainfall is an exciting and inventive theatrical experience for younger audiences, performed in English with a little Japanese. For more information, please visit the Tara Arts website. This concert’s main aim is Supporting Tohoku disaster’s sufferers. We will try to make this concert successful and bring our support message to the Tohoku area in Japan with our music. This concert is structured with beautiful Japanese folk songs and a collaboration with a string orchestra, with highly energetic taiko drumming. There is a special guest – a female Japanese folk singer called Yoriko Sano from Morioka City in Tohoku. She is a one of the best folk singers in Japan and also a victim of the tsunami and earthquake on 11th March 2011. She sings with such a beautiful voice and feeling, and this will be her first time to sing with a string orchestra. 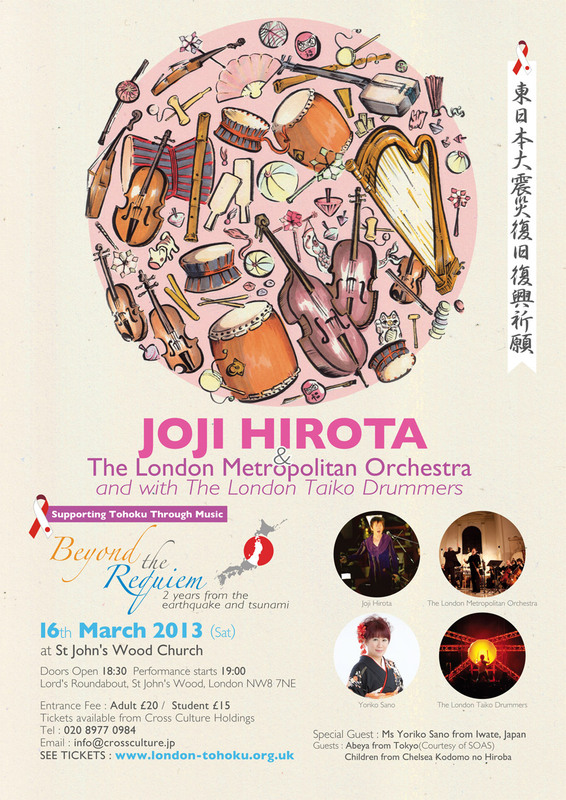 Joji will also sing and play shakuhachi flute with a string ensemble, and the London Taiko Drummers will perform with brilliant highly energetic sounds and rhythm. To buy tickets, please visit See Tickets. Employing a spectacular combination of synchronized video screens, real-time content feeds, digital sound sculptures and – for the first time in Ikeda’s work – human performers, superposition explores the thrilling conceptual world opened up by quantum theory. Ikeda’s immersive and viscerally exciting music plunges you into the grey space between 0 and 1, true and false, where uncertainty and probability coexist, through a powerful display of technology and art designed to take the spectator inside the indescribable structures at the very foundation of all life. Leading Japanese electronic composer and visual artist Ryoji Ikeda returns to the Barbican after the sell-out success of his audiovisual concert datamatics [ver 2.0] as part of SPILL Festival of Performance 2011. For more information, please visit the Barbican website. The statue Fudo Myo-o is stolen from auction at Sotheby’s. Or was it stolen from Japan? The British Museum are up in arms and Patricia MacBurney is sent to Japan to smooth over the cracks. Reporter, Aisha Pinkerton is thrust into the middle of this whirlwind political episode to cover the statue’s travels, furthering her own career whilst neglecting her own fatherless children, who search for him behind her back. Tomoko Hara is determined to get the sacred statue back to its rightful owner. But who is the Fudo Myo-o’s rightful owner? Will all truth be revealed? Will there be enlightenment? Shōnagon is based on the Japanese gentle woman Sei Shōnagon and her writings in her pillow book. A pillow book is a form of diary that the gentle women would write their daily accounts in, as well as poetry and other things. Sei Shōnagon wrote her Pillow book about the year 1002 CE – coincidentally the year that is usually ascribed to the first complete manuscript of Beowulf. Synchronicity, that series of coincidences that we are usually too unaware of to acknowledge, has shaped our production. 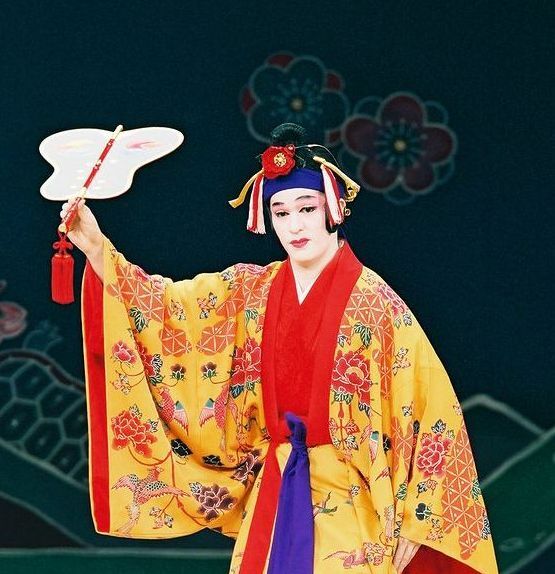 The contemporary story that we have weaved into the fabric of Shōnagon’s own work has been formed by world events and by the direct personal experiences of company members. Now in 2013, it is up to the new cast to bring to life all of Shōnagon’s words as well as those who have contributed to make this modern pillow book. Over the research and rehearsal period, patterns have emerged out of the sometimes startling collision of our ideas with the authentic incidents. 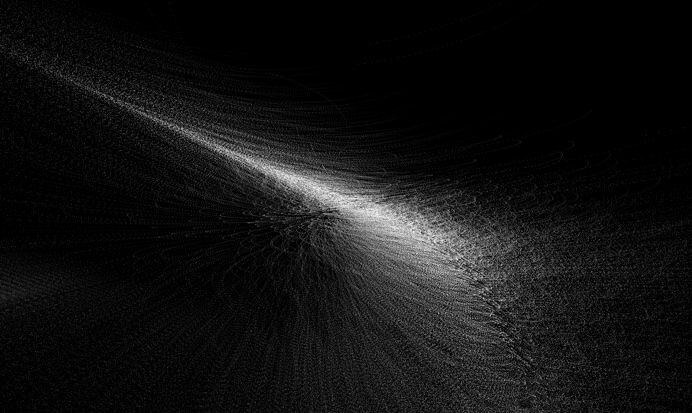 The meaning of these patterns, like the koans or riddles of Zazen Buddhism are still emerging and consequently this is very much an evolving performance piece. For more information, please visit Shonagon The Play’s website. Don’t forget, April should be the ideal time for seeking out some cherry blossom and having a hanami party. I don’t know of any specific events at the moment, but London’s parks make great venues for picnics. 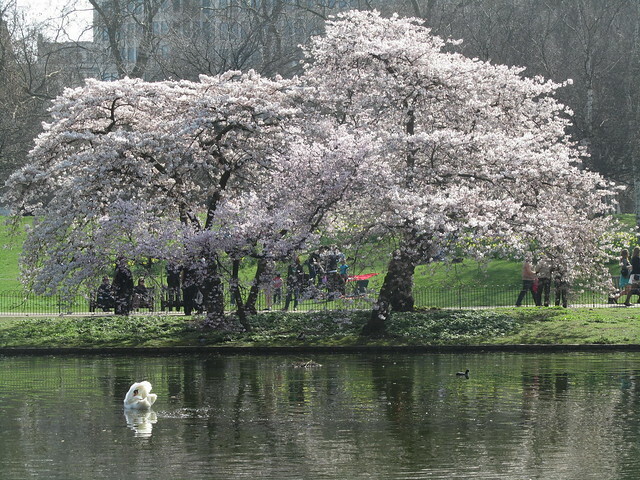 St James’s Park had some particularly beautiful cherry blossom last year (see my picture below), and Holland Park should be a good place for hanami, too. If you fancy venturing outside of London and taking a trip to Kent, Hanami at Brogdale Farm might be just your thing! Finally, just a reminder in case it’s not in your diaries yet, Hyper Japan will be back in July! Enjoy three days of J-culture from 26th – 28th July at Earls Court in London. Find out more at: hyperjapan.co.uk. Hi! There will be a 2 Year Memorial Service on March 10 at St. John’s Blackheath Church, 3-4pm. Stratheden Road, Blackheath, London SE3 7TH. Yarn Alive products will be sold there and all proceeds will go back to Yarn Alive to continue operations. Thank you for the information! I don’t think I will be able to make it, but perhaps some of my readers can. Will it be possible to buy Yarn Alive products anywhere else in the UK? Yes it’s that time to ponder. I’m particularly furious this year because thanks to the Japanese government spending relief money on completely unrelated things, my prefecture has lost. So much money in repairs that my working hours will be cut. Cheers earthquake. Oh well. It’s nice to now there are some Japanese things going on in London. It gives me hope of not being bored should I ever return to the UK. Believe me, if you were to return to the UK you wouldn’t be bored! That was my fear too, but there’s a lot going on here. I hope things pick up for you in Japan.